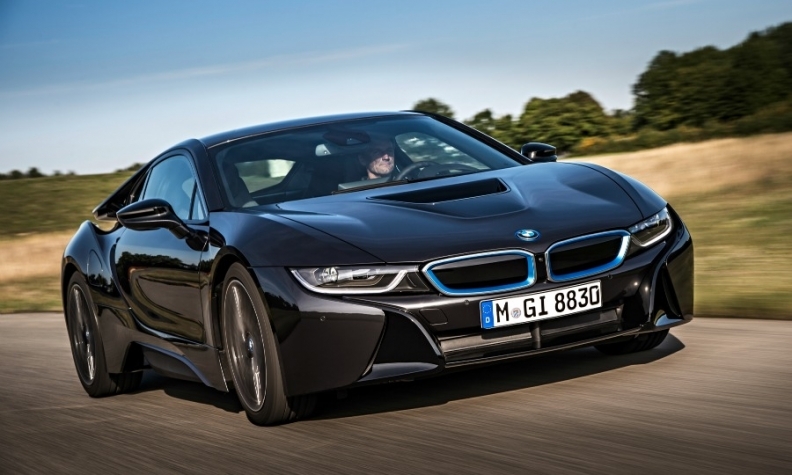 BMW's i8 supercar features a carbon-fiber chassis to reduce weight and improve fuel efficiency. FRANKFURT (Reuters) -- Carbon fiber reinforced parts for cars could become more than 70 percent cheaper over the next few years, making them an alternative to standard materials such as steel and aluminum, an executive at carbon specialist SGL told German weekly VDI-Nachrichten. "Today the average costs of light-weight carbon fiber parts is 100 euros ($140) per kg, of which 20 euros is for materials and 80 euros for manufacturing," Hubert Jaeger, SGL's technology and innovation chief, told VDI. SGL makes carbon fiber reinforced parts for BMW's i subbrand. The automaker introduced the i3 electric car in November and will roll out the i8 plug-in hybrid supercar later this year. Both models feature a carbon-fiber chassis to reduce weight and improve fuel efficiency. BMW Group is the second-largest shareholder in SGL, with an 18.4 percent stake in the company. SGL's largest individual shareholder is Susanne Klatten's investment company SKion GmbH, which has a stake of about 28 percent in the supplier. Klatten also is part of the Quandt family, which has a 46.7 percent stake in BMW. VW Group holds a share of about 10 percent in SGL. BMW and SGL are planning to double their joint production of carbon-fiber to 6,000 tons a year from 3,000 tons now, a person familiar with the matter told Reuters in December. German business daily Handelsblatt at the time reported the move was in response to growing demand expected for BMW's electric cars and to BMW planning to use carbon-fiber for its new 7 series. Jaeger was quoted as saying in the report that he is convinced that manufacturing costs for carbon fiber could be reduced by 90 percent, leading to a per kg price of about 30 euros or less. While that still makes carbon fiber reinforced parts more expensive than metal parts, they have the advantage of being more malleable and not needing an energy-intensive cathodic electrocoat against corrosion, the executive added.